Blood sugar and blood pressure go hand-in-hand when it comes to health concerns. Diabetes is a condition in which the amount of glucose (sugar) in your blood is too high because your body can't use it properly. Too much sugar can increase your blood pressure. Here's how to diagnose, treat, and live with blood sugar issues. So, what makes olive oils better for us than other types of oil? In my quest to understand the health benefits of olive oil, I compiled some interesting facts about olive oils. 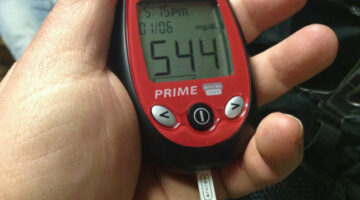 There have been some changes recently in the way that Diabetes is diagnosed. See details here. Besides using the Glycemic Index Chart provided here to pick & choose your foods, you can also try a number of tasty Diabetic recipes. You will need some good diabetic testing supplies too.